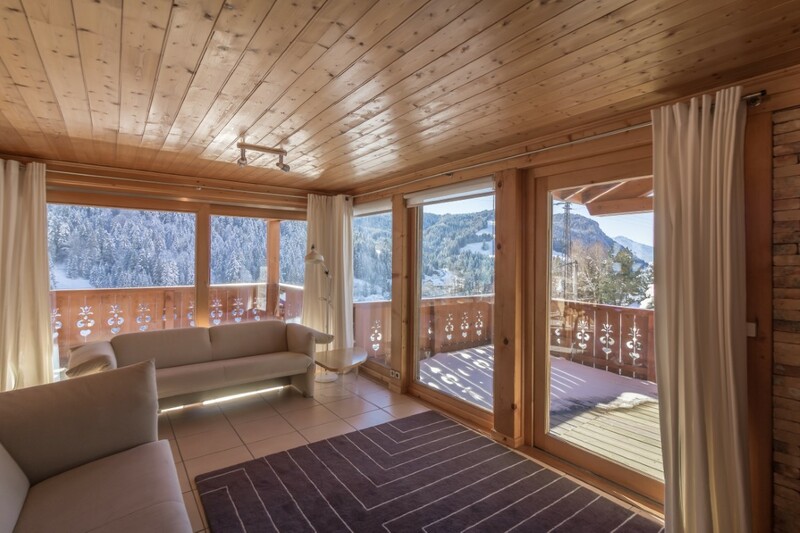 This large chalet, built in 1991, has been designed to maximise the views and the sunshine in this beautiful sector on the edge of Les Gets village. 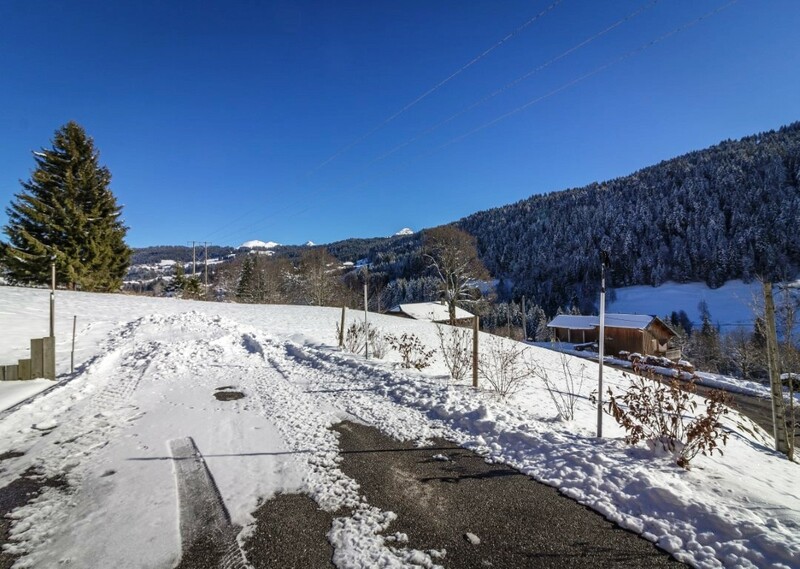 It is just a 2 minute drive (1km) from the Perrières car park and ski lift and in addition the ski shuttle bus stops just outside the front door. 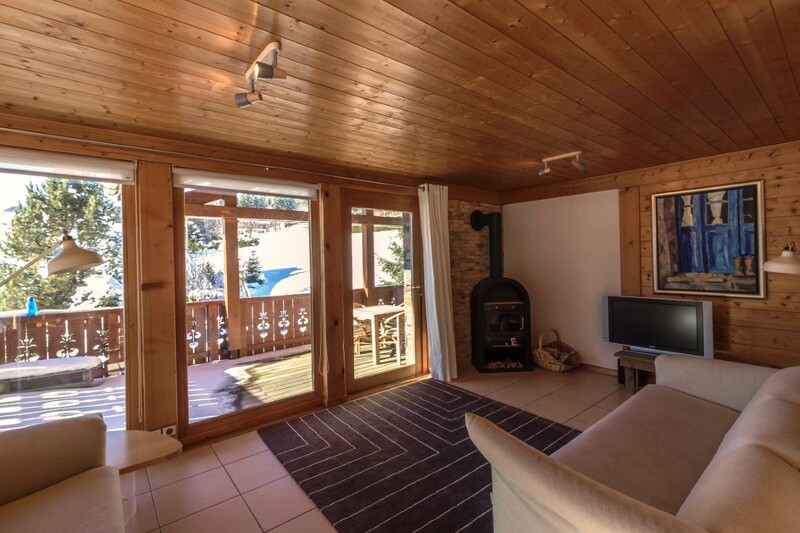 The main living area is very spacious and has a wood burning stove. 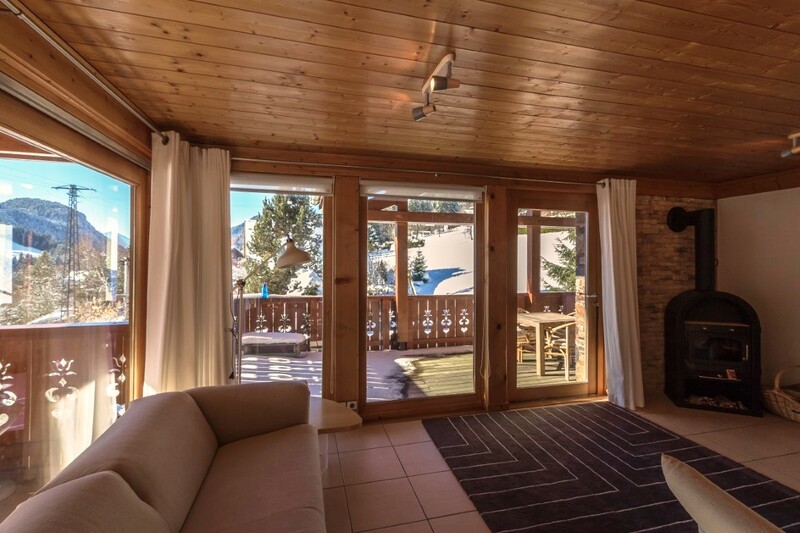 The large sliding French windows open onto a covered terrace which includes a built in barbecue. 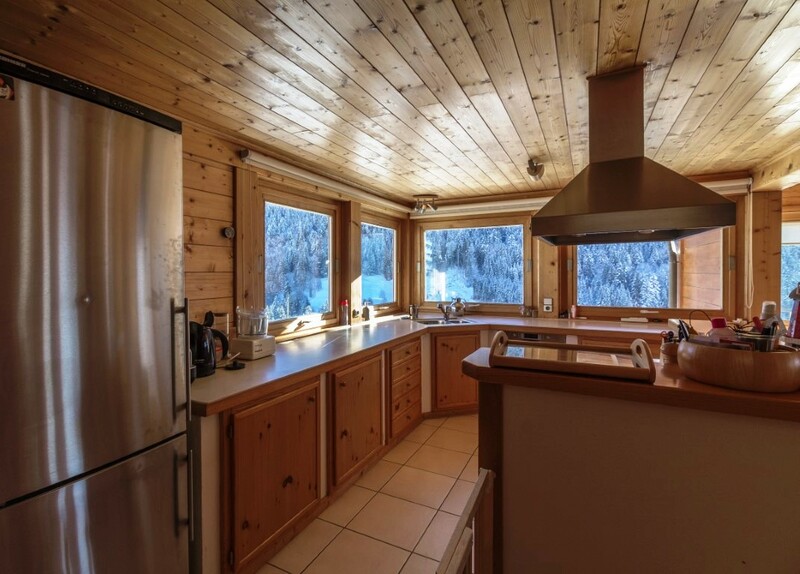 The kitchen is fully fitted and has Bosch appliances. There are 5 large bedrooms and 3 bathrooms. The property includes a garage and is set in a large plot of land (1050m²) with a mature garden. Entrance hall with storage cupboard. 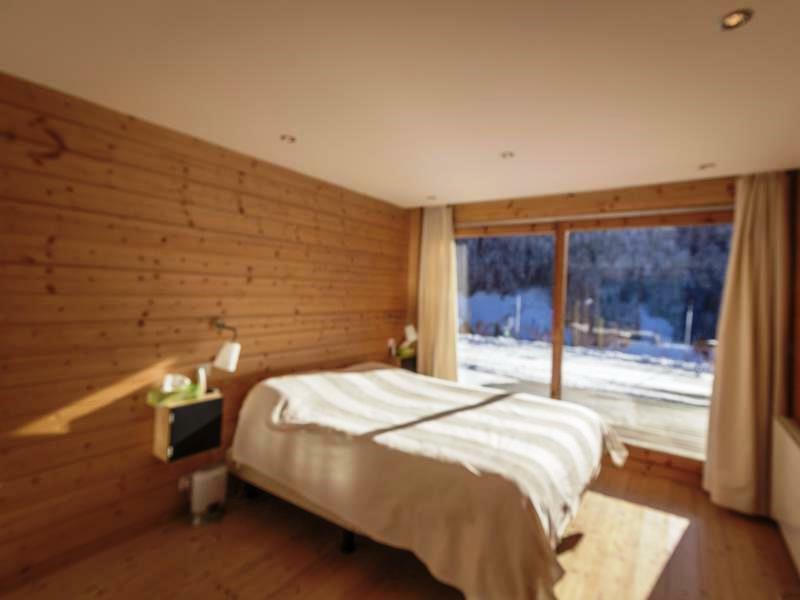 Large family bedroom with French sliding doors giving superb mountain views. A further double bedroom with doors to the front of the property and superb views; doors to laundry room and garage. 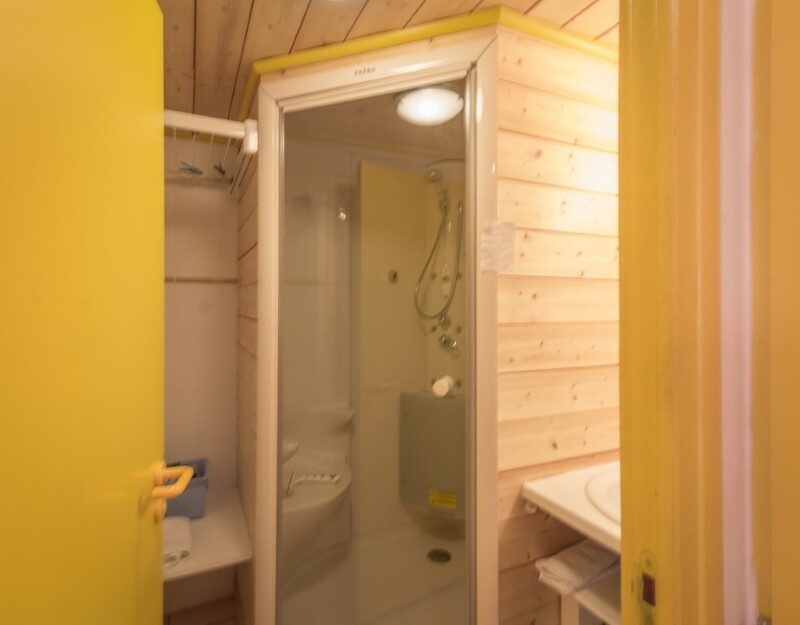 The laundry room has got a large fitted storage cupboard with mirrored doors, plumbing for a washing machine, and a sink; it houses the hot water tank. Bathroom with walk in shower, built in washbasin and W.C. heated towel rail and extra hot water tank. Shower room with washbasin, separate W.C. And finally on this floor, a large garage. 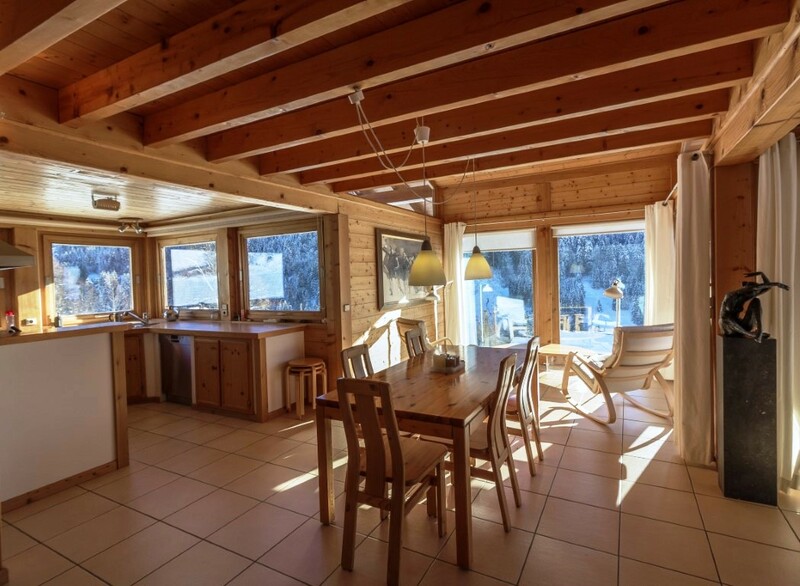 A light, bright open plan living space occupies all of the first floor. 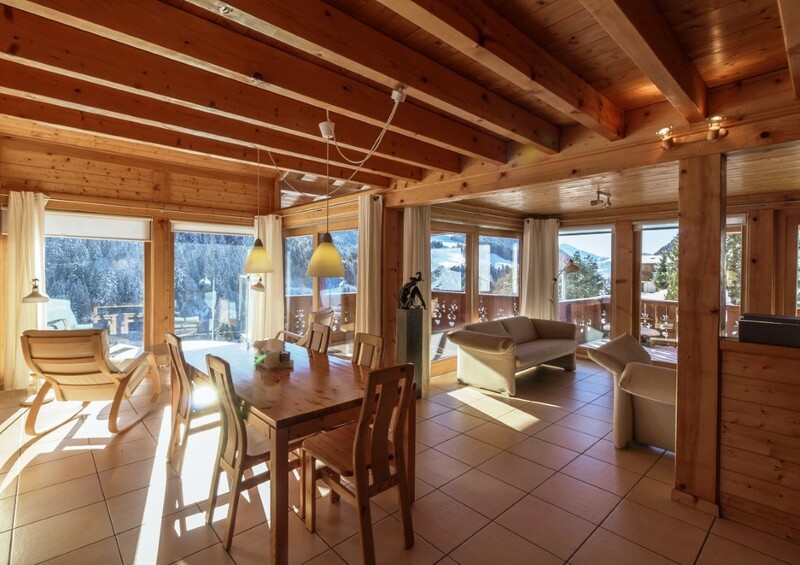 The sun streams in through the enormous windows and the mountain views are breathtaking. 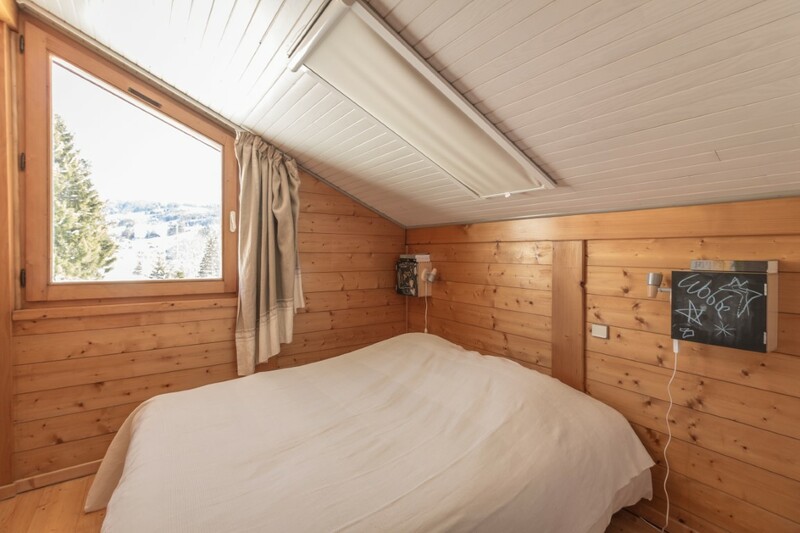 It has under floor heating and a traditional cast iron wood burner. 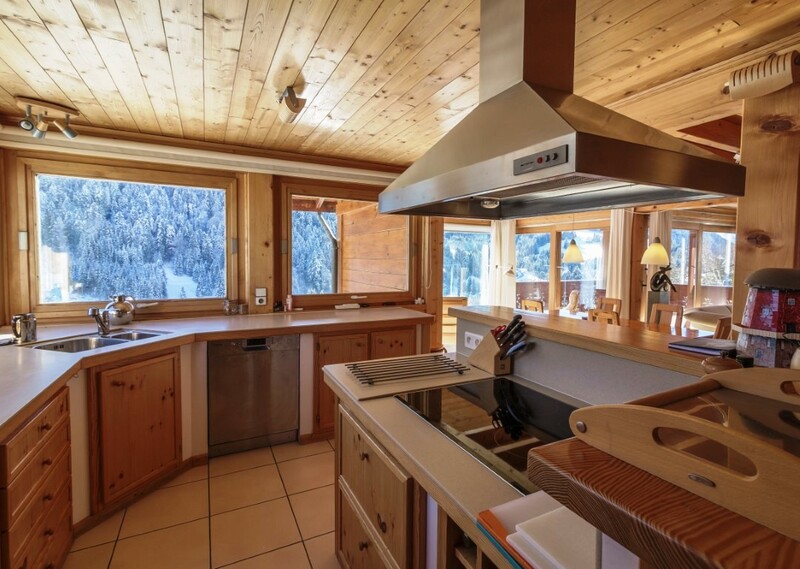 The fitted kitchen area also has large windows looking over the mountains and the edge of the Les Gets ski slopes. Large landing with fitted cupboards and 2 velux windows. 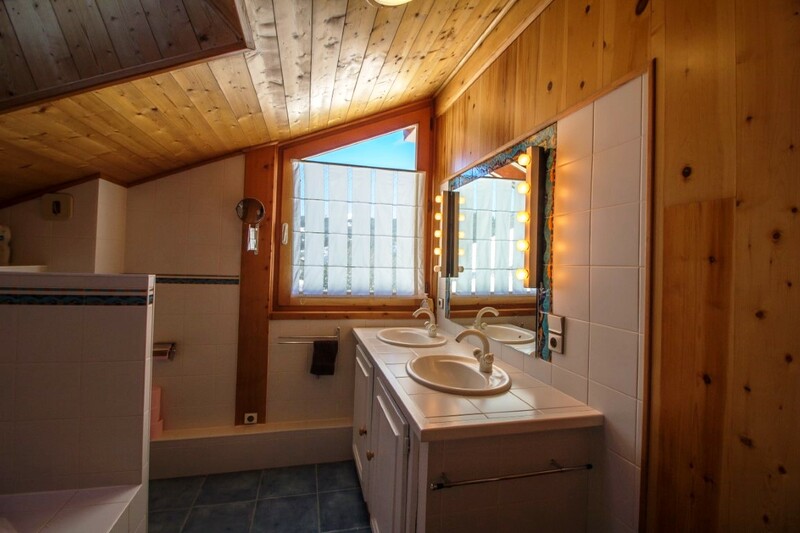 Three bedrooms and a large family bathroom with bath and two hand basins. A private driveway leads to the chalet that is surrounded by a garden with mature trees and bushes.